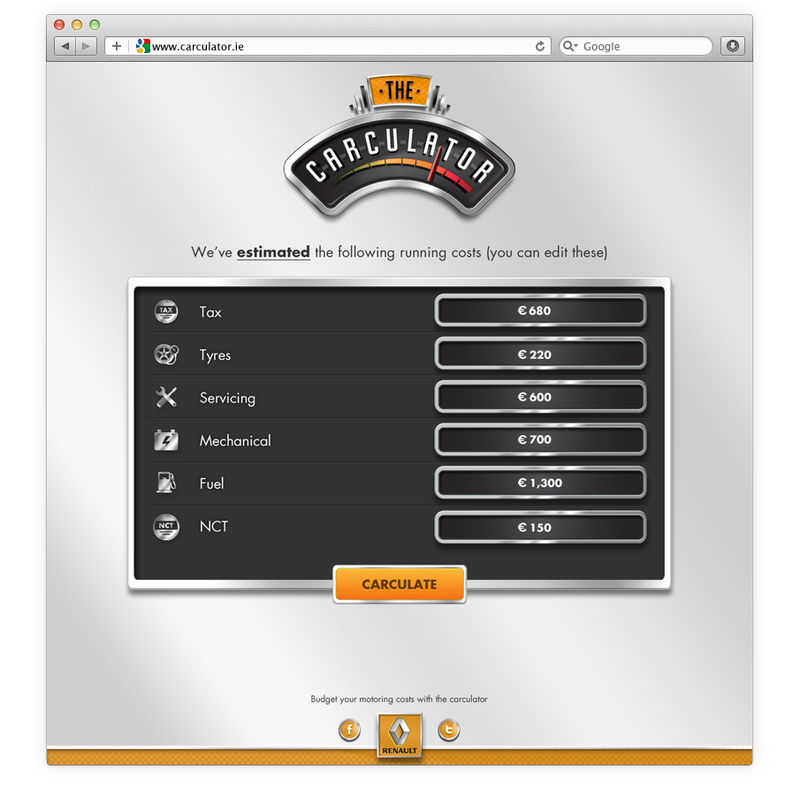 The Renault Carculator was a simple but effective web app designed to inform Irish motorists of how cost efficient their cars were. 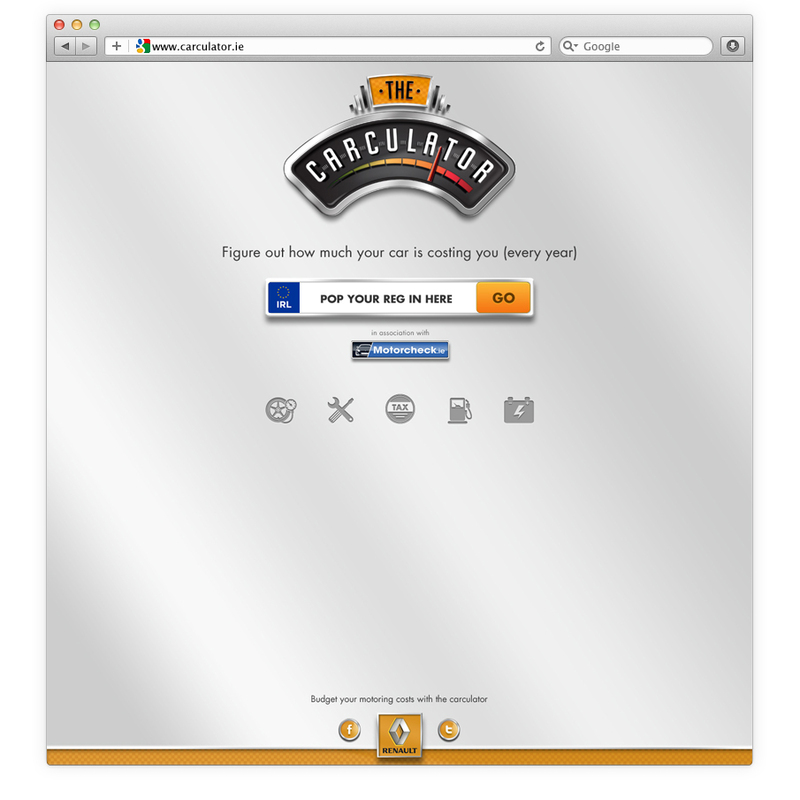 It asked for each motorist’s Vehicle Registration Number and mileage and calculated their running costs to the nearest Euro. But it didn't stop there; it also showed motorists how much they would save by switching to a brand new Renault.